'Tis the season for hiring. Amazon announced Thursday that it's hiring 120,000 seasonal workers. That's the equivalent of hiring nearly every resident in Waco, Texas, or Charleston, South Carolina. Each autumn, retailers and delivery services traditionally bulk up their staffs to prepare for the holiday shopping rush. This year, UPS (UPS) will add 95,000 workers, Macy's (M) is bringing on 83,000 and Target (TGT) 70,000. The past two years, WalMart (WMT) has added 60,000. It hasn't announced this year's figures. Amazon (AMZN) stands out for the rapid growth of its workforce. It's hiring more than twice the number of seasonal workers it used only four years ago. "The world is relying more broadly on the convenience of clicking," said Rajshree Agarwal, a University of Maryland business school professor. "Amazon is doing the smart business thing [with its seasonal hires. It's] growing, Internet sales have been doubling, quadrupling, as more people rely on Amazon." Global ecommerce is expected to be a $1 trillion market by 2020, according to a report from Accenture and Alibaba. In 2015, Amazon reached $100 billion in revenue for the first time, and the company appears poised for more growth. John Sullivan, a San Francisco State University business professor, said Amazon's 120,000 seasonal hires is the most he's seen at any firm. Amazon's hiring binge isn't limited to just seasonal workers. In 2015, it hired 76,700 new full-time employees, and it added 38,100 in the first half of this year. 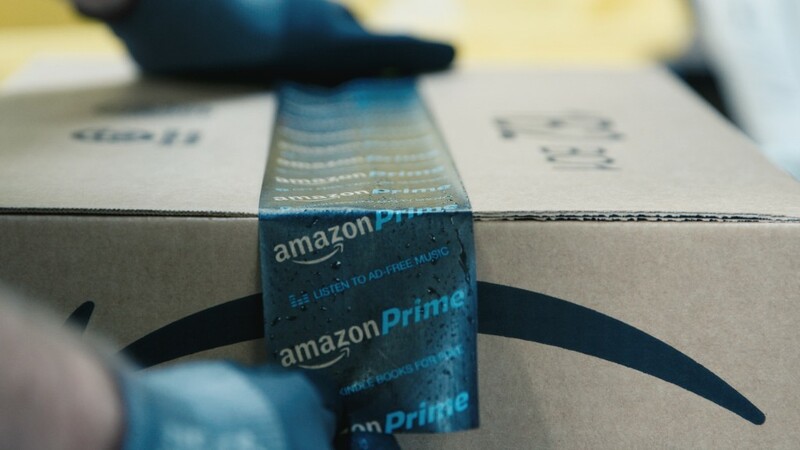 As concerns are increasingly raised about the impact of artificial intelligence on employment, Amazon is a curious case. The company is seen as one of the country's leaders in artificial intelligence and robotics. In its newest warehouses, Amazon uses robots to bring bookshelves of items to employees. This allows employees to stand in place and pick relevant items off shelves almost constantly. No time is lost walking up and down aisles. Amazon's robotics efforts also include a program to develop autonomous drones that would deliver packages to backyards with almost no human input. But the company still has a voracious demand for human employees. Amazon needs more employees to work in the new warehouses it is rapidly opening around the country. Common roles include picking goods off shelves, and packaging them for delivery. While some caution that we're headed toward rampant unemployment that will roil society as workers can't be retrained, others are more optimistic. "I'd rather be living in the world today, than what my grandfather or the kings of England lived in," Agarwal said. "To the extent we will always need people to build and program smart machines, there will always be jobs."